Who is jobless in Greece? Jobs in Greece > Who is jobless in Greece? Each year, the Organization for Economic Cooperation and Development (OECD) reports unemployment and employment stats and findings for Greece. 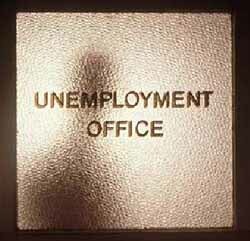 — Women, single parents, the disabled, minorities and university graduates suffer most in the area of unemployment. Joblessness amongst Greek women aged 30-54, regardless of educational level and experience, is the second highest in the EU after Latvia. This trend continues in 2012. Unemployment tends to be lower for non-Greek women in Greece because they cannot afford to be selective and do not have families to support them. — Greece is the only EU member state of the ‘oldest 15’ in which higher education does not increase a worker’s desirability on the job market (only in Turkey, Korea and Mexico is this fact also true). See “Value of a university degree in Greece” for more information. — There is no demand for highly educated workers in Greece, according to the General Confederation of Workers in Greece (GSEE). — Of 4 3 million workers who make up the work force, 7 in 10 of those lucky enough to be employed are high school graduates. — Greece’s economy revolves around services, tourism and trade where unskilled workers are more than sufficient. — The job climate has not changed in 20 years, does not encourage innovation and is not expected to change in the future. — Greece has an unemployment rate of 64.9 percent among people under 25, now the highest in the 28 EU member states. In this fifth year of recession, up to 900 people lose their jobs every day and this is expected to accelerate. — The jobless rate is a record-high 27.8 percent, which is more than double the eurozone average and the highest in the EU. Real unemployment is projected to be 30 percent if including contract workers who are not calculated as part of official stats. — Women are twice as likely to be unemployed than men because the country is still patriarchal. — Educated business professionals aged 40-60 are now amongst the nation’s homeless, hungry and suicidal, as companies slash salaries and seek the cheapest labor possible. — Greece’s entry to Tertiary Type A programs (advanced research/education) is 45 percent, which is lower than the average of 60 percent by nations such as New Zealand, Sweden, Hungary and Poland. — Greece’s budget for education spending is only 3.5 percent, half the average of other OECD countries. A low rate of education spending by the government equals lower quality education for the people. While that’s fine for the unskilled climate of Greece, it doesn’t bode well for anyone who has the option to leave for another country where educated and skilled workers are in demand. He/she may actually be less knowledgeable, less competitive, less viable in comparison to candidates from other countries and be forced to return to Greece to face low salaries and unemployment. The answer is to boost quality education and offer someone a reason to stay (good benefits, better public services and a salary on par with other EU nations) to stop brain drain and raise efficiency and productivity. Greece needs to honor and pay its educated, highly skilled workers, and highly skilled workers are needed to grow this nation’s economy. As not everyone can afford private education, it’s up to the Greek government to help its people or improve the economic climate. In other words, simplify bureaucracy, embrace high tech industries, decrease corruption, encourage investors, offer incentives for Greeks abroad to come back. In the meantime, Greece’s best and brightest continue to leave or are now amongst the nation’s homeless. Very interesting article. Unfortunately, it doesn’t boost my confidence…..I am currently looking for employment in Athens and am facing an uphill battle, as (1) I don’t have a work permit and (2) I am currently managing my job search from the US. b) Or the services sector is so backwards that it does not require university graduates. The first problem is that qualified workers are not valued or paid well here. Therefore if you’re one of them you leave, and I guess all of them left Greece, so there is no one to Manage the companies in this country. Second, very related with first. The companies don’t believe in specialized training. Only when they see a black future, then “THE” specialized guy comes and “saves” the company. (Like Winston Wolfe in Pulp Fiction). So, when they don believe in you or in your skills, it’s normal what is happening here. When a friend told me that his manager “asked” him to work this weekend, he offered him the time he will work in overtime hours (more money) or free days. My managers don’t offer that, they expect it from you for free; they don’t give me overtime or even “thank you”. ^^graffic, it’s pretty well known that Greeks also tend to run their business on a shoestring budget, which kind of ties in with the lack of incentives for workers. serious investments, for the purpose of expansion, are rare. i read this article about how job growth amongst the young over the last few years was generally in retail. remember that infamous “Greece will not be a nation of waiter” comment in the 80s? it’s definitely true. Greece isn’t a nation of waiters; it’s turning into a nation of cashiers and shopkeepers instead. how does it plan to do that when the private sector isn’t making any real money? they couldn’t possibly raise wages in the public sector now. the debut is too high. The private sector in Greece is financed to a huge extent by the public sector. As we say in Greek it is ΚΡΑΤΙΚΟΔΙΑΙΤΟΣ. My best example is the country’s number one sector, tourism. All sorts of legislation has passed to give subsidies and loans to hotel owners many of which are slowly “forgiven”. In other words the taxpayer pays for them. How can Greece be competitive when its economy is so heavily dependent on the public sector? Don’t get me started on the telecommunications sector. In which other country was the digital technology (when it arrived at last, twenty years late) was given -no questions asked- to a single man, (Kokalis) who monopolized it for years and who equipped it with third world technology from Easter Germany? My first MODEM in Greece was a JOKE!! And INTRACOM was considered an “advanced research center” (Jesus!!!) which by the way was paying its engineers around 1000 euros. Athena: I work near the telecommunications sector and today I talked with an Intracom engineer (really nice guy) who yesterday was working from 9:30 in the morning to 5:30 the next day. He won’t get paid for that, and he won’t get free days. He won’t even get a thank you. (sometimes words have value but…. ). The university education here is a bit of a “joke”. You will sense that when you have coworkers from those places. Even if they’re really smart, they don’t have time to improve and the university didn’t give them anything useful. yiannos: The problem is not always to raise the salaries, it’s also to have honour and manage a decent company. Sometimes not getting more money is better. I’ll be fine getting less money if I could have a better job-life relation. I have not read the original article. But it seems to me that cultural values play a huge role in this statistic. There are so many Greeks around that age that would love to work (even as a part time job while studying) but their parents would kill them if they worked at traditionally part-time work in retail or waitressing. Also, a lot of Greeks under 25 are usually getting their bachelors then their masters then their second masters. Shouldn’t someone tell them that it is not going to make a difference? Wish someone had told me. Diana – I’m a living example of that article. I’m university educated, 14 years total experience in my field, worked illegally, got a permit, only got my boss to give me IKA after 6 years, have advanced my salary only 100-200 euros in 10 years. Got to the “top” only to find that’s all there is. I’m being paid an insulting amount of money for what I do and how much I produce, so there may be room for skilled workers, but employers don’t want to pay. I’ve been desperate to leave since 2006, just been waiting for my fiance to finish his business so we can go. My whole site, my life and the lives of other honest people I know of all nationalities are a testament to the article; I’m not reporting something new. Most people I know who do well and earn a lot of money are well-connected, well-established and multilingual people from rich families. Athena – You know what I’m talking about, you were here, experienced it yourself. It’s not necessarily that the education system is poor, it’s just lower in standard to other countries so when these people want to escape Greece, some find they can’t compete with other people their age. As I said in the post, they’re just not viable outside the borders. This is combined with a Greek economy that has no growth or infrastructure to compete with other nations, and no incentive program to attract Greeks from abroad to come home and bring their expertise, money and power with them (e.g. India is attracting millions with this program, keeping their workers and booming). Hope – I don’t know if it’s only cultural, I think it’s also generational. When I was young, it was normal and almost prestigious to work part-time while still in high school to have a little money and get ready for college; but in the last decade, I see a lot of people looking down on part-time work for reasons I don’t understand. In the case of Greece, education is not for nothing. Perhaps your parents did what they did in hopes you would go abroad and seek a better life, thus giving you the tools to accomplish that. In any case, parents always want to give their children the best of everything — gift of time and leisure, higher education. It’s all out of love, and that’s a beautiful thing any way you look at it. This is my first time posting but this comment of yours struck me. I feel exactly the same way and in fact very angry that Greece does not care or look after foreigners, let alone their own. I just came across a scholarship program they’re promoting in Greece to get people from Asia, Africa and Eastern Europe (NOT America, Australia, Canada or Britain, or anyone of Greek ancestry) to come to Greece, all expenses paid, and learn the Greek language. Isn’t this ridiculous in light of the fact that educated Greeks from abroad, as well as people who love Greece and want to offer their expertise and intelligence to prosper her, are treated so appallingly, like slaves? I have wanted to go to Greece for a long time. My father’s family lives there and I hardly know them. His village is peaceful. The birds seem to always be singing. The roads are quiet. The people are curious in a flattering way. It’s perfect. But the man down the street who runs the business that would employ me would expect me to be his bed partner or else only pay me 600 Euro per month… and that’s assuming he remembered to pay me at all. So my dreams have been shattered. As a Greek-Australian, my dream of living a quiet country life in the outback here was crushed when I fell prey to the prejudiced racism of the locals, who were looking for every reason to excommunicate me from their community because I don’t have blonde hair, blue eyes and an Anglo-Saxon surname. This sort of thing exists everywhere; you and I know this now and we will take it seriously in the future. You, at least, have somewhere to go to where you will be accepted and treated as an equal. I wish you well my friend and think of folk like me from time to time… You’re never alone in your pain. Hmmm, I can’t speak for others, but I’m not in pain and know that all countries suffer different ills. Based on my priorities and the reality before me, I used the power of choice to change my life and am looking forward to the future. Also, no one should assume I’m leaving to go back to the USA. There are plenty of other countries that are willing and happy to have me. I’m a typical example of this story. “Value of a university degree in Greece”????? That’s a joke…for a 3rd world country. Add me as another jobless US + Greek citizen trying to figure out what the hell I’m doing by staying in this country. Oh, btw I’m an attorney who CAN find a job and start stealing from people, but won’t do that. Well, it’s not my type of thing, that’s why I think I’m headed elsewhere. People are always telling me, “you should be more ____ to fit in here.” And I’m thinking, “why the hell should I?” The only person I answer to is myself. Friends say that Greece is no place for decent people, though I don’t know if that’s true because I do know a lot of nice people. What you have done with this site is nothing less than amazing! There are many things that I wholeheartedly agree with you on, and there are many I disagree with you on…but isnt that what makes us grow as humans? I am here to implore for help. I am still optimistic about my future in Greece. I have to serve 6 months of mandatory military service, but am confident I can find a good paying job without too much hassle. Any directions you can point us in? Thanks for all the useful information and look forward to talking with you!!!!!! Sorry Mr. A, but I’ve read your comment a few times and can’t figure out what you’re specifically asking me. Help with what? The “problem is (your) American fiancee?? ?” No comment on that statement. Suggestions for your fiancee regarding what? Her major, her career, whether she wants to learn another language, culture and face adversity to live in Greece to be with you? All of those things are her choice to make after defining her goals in life, what would make her happy and what compromises/sacrifices she’d need to make. This entire website is provided as a resource for you (for free). I cannot serve as everyone’s personal consultant, I already have a job and this site earns no income. If you have a specific question, please feel free to post back. Yo Kat, your site is hands down the BOMB! Nobody said that Greeks ain’t nice, on the other hand the same Greeks constantly “harass” the government…go figure! K – I was thinking about you and your comments the other day, thinking what a horrible host I’ve been for not addressing you personally. Many times when you comment, it’s like hearing a kindred soul, someone who knows exactly what I’ve been through and what’s to come of me should I stay here the next 30 years. I can’t. I won’t. And thank goodness, I don’t have to. My last 10 years of beauty and youth have only seen my salary advance 200 euros, spending the first 6 years without IKA from my employer, paying for my own to keep my permit, and changing jobs and filing complaints against ex-bosses to get where I am. I’ve been called names, $exually harassed and had my skills and experience insulted — the same skills that get me jobs without an interview in the UK, USA, Sweden, Spain, Australia, etc. Go figure. I have also been of childbearing years this entire time, and my bosses have typically asked me to promise NOT to get pregnant (that’s illegal) or “laid me off” at any hint of a serious boyfriend. Mind you, we had plenty of work and I knew how to do more of it than my co-workers. In many ways, I completely understand and totally envy women who are married to wealthy men and have children or otherwise don’t need to work, either supported by funds of their own, their parents or a trust fund. What a nice life it would be if I didn’t spend my days being disrespected, hassled and molested from the time I leave the house until I come home at night. But my career and making a purposeful contribution to this world have always been important to me, and I think it’s important for my future kids to see their mom accomplishing a lot, so it may inspire them to do the same. That won’t happen here. It might also be easier if I had the option to travel to the USA or another place at will for a break (as you said previously), but our Greek salaries and rent just don’t allow it as we’re not recipients of property (and I’m glad about that because there is honor in buying my own). Thankfully, after 10 years, I’ve found gainful work (outside GR, of course) that pays me better and on time, and my fiance — for the first time in his life here — also has a career that will translate outside these borders. And fortunately, we have no opposition from his mother or other ties keeping us here, though I know that’s not always the case for everyone. I understand we sometimes make compromises depending on circumstances. This country could be so amazing. People like Hope, Athena and Dio are all young, educated, dynamic people ready to make a difference. All they need is opportunity and freedom to flourish, not the corruption and suppression that allow no good seed to grow. Krima. Having lived and worked in Greece for the past 30 years, my advice to anyone thinking of coming here is to do so only after you have secured a good job. I could write a book with my experiences and if I had it to do over again, I’d probably not but hey thats life and we make our choices. I do know that salaries are very low, particularly for women, and can be a degrading experience. And unfortunately some Greek women do not help themselves by dressing in the workplace like they do for the bouzoukia, but then they are mostly trying to snag their rich boss. There are exceptions, but my advice – Greece does not have a good labor market and a foreigner will have a hard time finding and keeping work here unless you have a special expertise. Good riddance to bad rubbish!!! I’m sure your future Greek inlaws will have some kind of Greek inheritance for you to sink your fangs into when they die – c*nt! People like you make me sick! F*ck off and die! So let me get this straight. You gripe about women who don’t work, and women like me who make their own way in the world, marry someone for love not money, and love working and see honor in purchasing their own home make you sick. And that makes me a c*nt? As my future inlaws have no property or savings, I’ll happily inherit nothing and be supporting them on my huge American salary because IKA won’t cut it, which is OK with me because my family is dead. Btw, you’re a Greek in Ontario, Canada (Mississauga, to be exact) so I’m not sure why you’re saying good riddance to my departure from Greece when you don’t live here. I know you’re the same predictable person from Mel’s site, and I published your comment so everyone can see that you are not the nice, kind, non-bitter and stable person you claim to be. Like I said, you have some serious issues, and it’s my belief that your time and energy would be better spent on finding your own happiness, since it’s clearly absent from your life. Krima. Kali Tyxi! P.S. Why do you keep visiting the site when you have such a low opinion of me? Note from Kat: The previous commentator’s swearing was censored to avoid certain Google searches from landing here. Her email address also contained profanity. I find that the people who resort to name calling and insults are jealous lowlifes who have nothing intelligent to say. Also I find it ironic that much of the rhetoric you get comes from Greeks outside Greece and not actual people who live here. Thx for your comments. Clearly, you understand and have experienced the difficulties of assimilating to life in Greece. I am indeed fortunate that at this stage in my life I am able to spend extended periods in the US, and when I come back to Greece it makes it more bearable. My son, who was born in Greece, but educated partly here and the US, loves visiting Greece for a vacation but has told me, at this stage in his life, is just not a viable solution for his career. When he visits and sees his old Greek school friends is when he most notices the difference in their take on life. Many of them still live at home with mom and dad, some do not work (from wealthy families) and others are still getting a degree after 10 years in the university system! He actually feels bad for them that they have not experiened anything outside what they know since they were kids. As much as I love being a mom, I think it is rather unhealthy to have your kids at home indefinately. How can they then become responsible adults and parents if they have never learned to fend for themselves? This is a major problem with Greek younger people today. I know many parents who provide everything for their 20-30 year old kids (homes, money, cars etc)…I think we can help our children but in moderation. Kat- I just read your site today and it is certainly very insightful. My case in a nutshell: raised and finished high school (with average grades) in Thes/niki, moved to Australia for tertiary education,with the naive dream of returning (I am very fortunate to have a dual citizenship otherwise would not afford this). Empowered by the more open educational system here, 8 years later I am finishing a Masters degree in Melbourne, fluent in 3 languages, with some (2yrs) IT-industry labor experience in Australia and a stint working in Central America (where, yes, I have found labor conditions rather preferable to Greece!). I wish to relocate to Europe at some stage in the next yr as I find Australia rather isolated geographically. Also it would be nice to be close to my homeland and be able to visit family more than once every 7 years)! And from a traveller’s perspective I love the feel of Europe which is another motivation to seek something there. – perhaps most importantly, favoritism and LACK OF CONNECTIONS – ‘meson’-‘barba’ (I come from a low to middle class Greek family who rightly urge me to unconditionally love Greece, but live away from her, yet close enough to visit her). Kat, I face at least 2 less obstacles than you in that I am a EU citizen and male. Yet I am still not seriously considering going to Greece. Your site reaffirms this belief and goes beyond the emotional attachment to Greece that we all in this site feel, to varying extents. It is true, for all its flaws, I think it is impossible for someone not to love Greece, (or any country of their direct or indirect descendence for that matter). A few questions for you as I contemplate my potential move (return?) to Europe at the not-so-tender age of 25. – have you considered Spain? I have flirted with the idea, I know (from many Sp. friends and limited research) salaries are higher and living expenses somewhat lower than Greece. Productivity is (albeit slightly) higher and you get some of the advantages of Greek life and, outside of work, quite a compatible climate and culture (from my experience from meeting many Sp people). – what other countries have you considered? what is the consensus? I would love to hear your take on this even if it is brief (I know time is scarce). As I said it it quite difficult to get a European ‘insiders perspective’ when one lives so far. Thanks indeed for the time and effort in putting together these posts. It helps me immensely at this crossroads in my life. I will re-read every post while of course also consulting various other sources. I do think you give a very balanced account. I admire your perseverance and draw strength from your experiences. I have the unenviable task of make some difficult life decisions in the next few months. Na’sai kala, kalh synexeia kai kouragio me oti epidiwkseis! Hi George, as promised, I didn’t forget about you and am here now with some answers to your questions. I’d like to state up from that making the decision to move to another country is highly specific to you as an individual, and no one’s opinion (not even mine) should matter. You really need to do some research, visit these countries and do everyday things, then sit quietly with yourself about what you can and can’t live with based on priorities, what you want to accomplish and what level of discomfort you find OK and if any of these countries meets or at least comes close to offering you these things. – Spain: I have already lived in Spain (it says this on my list of Places I’ve Been), and I found it quite fine because I speak Spanish and liked the friendliness/warmth of people, culture and vibrancy of everyday life. There was also mutual respect, well-built homes and a higher standard of living. Prices were less expensive than Greece, even in big cities like Barcelona and Madrid, and it felt very comfortable. You didn’t say what 3 languages you speak, however Spanish (or Catalan) should be one of them if you plan to move there. Bureaucracy is still quite burdensome for non-EU citizens like me, however you’d have no issues as an EU citizen. You really need to check job opportunities, go there and get a vibe, not base life changing decisions on what friends or what I say. – Germany: I was treated quite poorly when I traveled in Germany, so I have no opinion about living there. Unemployment in some places is high and speaking German would be necessary for the majority of jobs. I know many people who are happy and doing well there — Greek, American, Canadian. You might like it once you visit and form an opinion based on real life experience. – Countries I’ve considered are both in the EU and outside, however the USA is not one of them even though I’m American. I’m the kind of person you can drop anywhere and be happy (I’ve lived half my life away from California), but it has to be somewhere dynamic with diversity and variety, women have rights and standing, and somewhere I can afford to buy a home. I’d prefer not to say in public what countries were chosen, but if it were up to me, I would have been gone by 2006. My decision is now influenced by my Greek fiance who is not as open as I am to learn other languages (I know 4; he knows 2 and isn’t willing to learn another), has no experience and no friends living outside GR (I’m the opposite) and against any country with any hint of weather below 15C (which I think is a ridiculous parameter). There are also extenuating circumstances that impact our future permanently. Please check in again when you’ve made a decision, as I’d be eager to find out what happened and where you are. When i say simpler way of life i’m not talking about living in a village where there are no jobs. I go to Greece almost every summer and i see that life in general is less stressful than life in New York, where i live. That’s what i meant. It’s more relaxed and easy going. Life in NY is always on the go, quite stressful, loud, noisy, and more dirty. I am impressed with the atmosphere Greece offers. I don’t have the experience of living there year round and so i don’t know the details for working there all year. That’s why i was looking for some advise or for someone to give me an opinion based on his/her experience. Of course it’s a decision i have to make in the end, but i was hoping for a little help in making it. I listen to what people have to say with an open mind. It’s interesting that you say things are more expensive there. Others have said things are less expensive. This confuses me. But one thing you said that is absolutely true……people who move there usually do it for emotional reasons, and you have helped me to understand that my reasons for wanting to move to Greece are totally emotional. Thank you for your feedback. It has helped a lot. Hundreds of people share their opinions and experiences in comments and articles all over this website. There are also articles about prices, cost of living in Greece and quality of living; most people who believe things are cheap here have misty memories of the drachma, someone to finance their life or don’t pay attention to prices. I wish you the best of everything. Sto kalo!